A MONTHLY SURVEY by AA Ireland has found that the average cost of a litre of motor fuel has risen for the first time in five months. The monthly data for February shows that an average litre of petrol costs 159.4 cent, while an average litre of diesel costs 153.7 cent. Petrol prices are up 1.5 cent a litre from January’s figures, while diesel is up 2.9 cent. Prices had fallen steadily each month since September, when they had reached an all-time Irish record of 170.0 cent for petrol and 160.0 cent for diesel. AA Ireland’s director of consumer affairs Conor Faughnan said 2012 was “an appalling year for fuel prices – the worst we have ever had,” but that the price of oil had been relatively stable since then because of the rising value of the euro. “Internationally, it is hard to fathom the reasons for a rise right now,” he said. AA’s data suggests that an average motorist who drives 1,000 miles (1,605 kilometres) per month would have to pay €240 a month for petrol – of which €131.50 was tax which would be returned to the government. AA surveys ten years ago showed the average price of petrol then to be 89.5 cent per litre, while diesel cost 82.1 cent per litre. Email “Fuel costs rise for first time in five months: AA survey”. 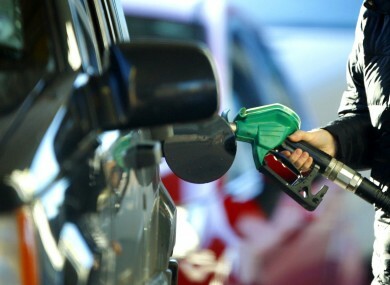 Feedback on “Fuel costs rise for first time in five months: AA survey”.